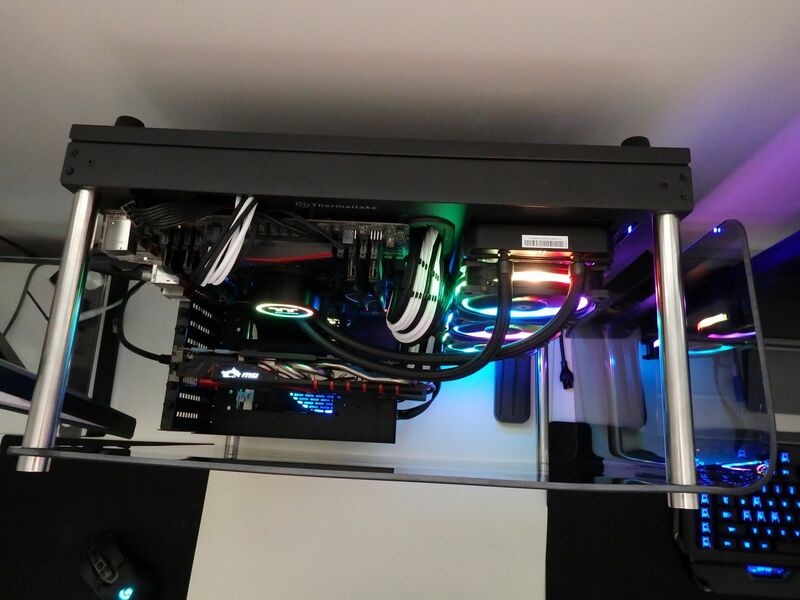 I’d been using the Lian Li T-60 Pit Stop test chassis for about 6 years but it was long overdue for an upgrade – and what an upgrade! 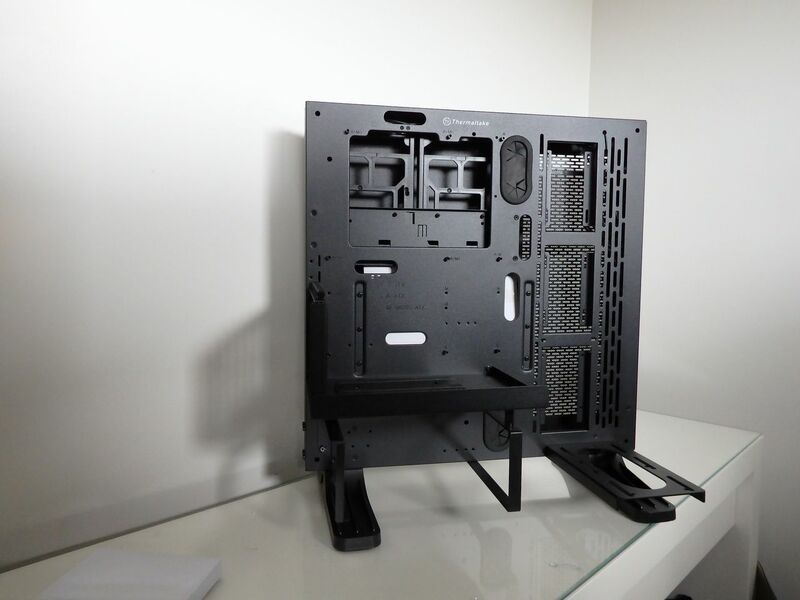 Our old Lian Li T-60 Pit Stop chassis was born in an era when water coolers were an exception and messy cables were more acceptable. 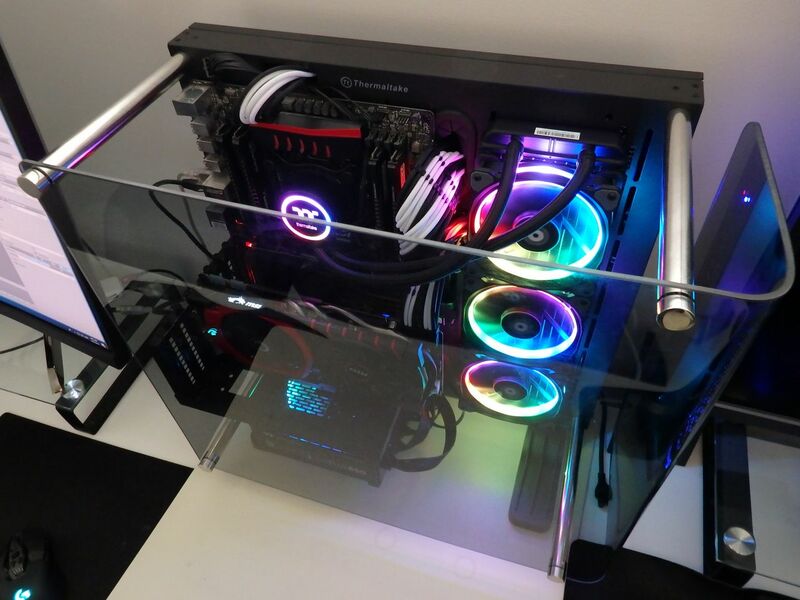 The open air case was great for swapping out components and moving around the office but it also had some serious constraints. 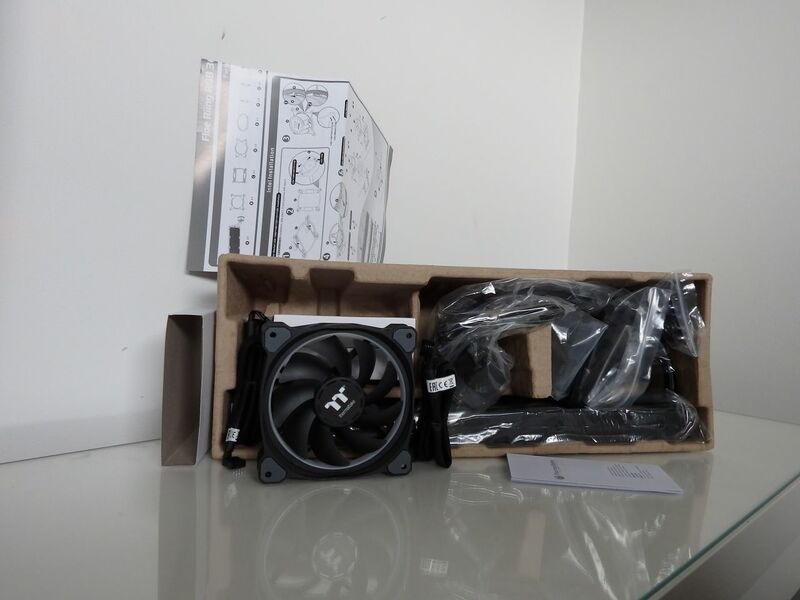 The access constraints caused by the high angular side panels made it difficult to connect CPU fan headers on most motherboards – they also impacted on options for rigging up some kind of radiator mount for water cooling. The older open air test bench, whilst convenient wasn’t exactly neat or squared away in terms of cables either and we would just jam them in above the power supply. The T-60 also didn’t have front I/O connectivity by default and I never got around to buying the add-on case insert when they were available. 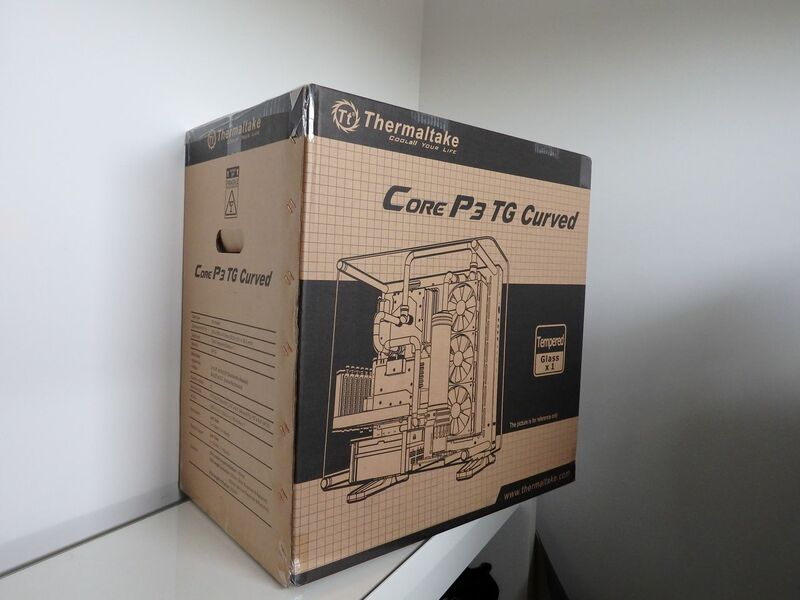 The team at Thermaltake agreed that PCTechReviews needed a new setup for motherboard/CPU testing and came through with the Thermaltake Core P3 Curved (plus a few other supporting components) to ensure that we have an optimal testing platform for 2019 and beyond. What makes the TT Core P3 Curved so good? 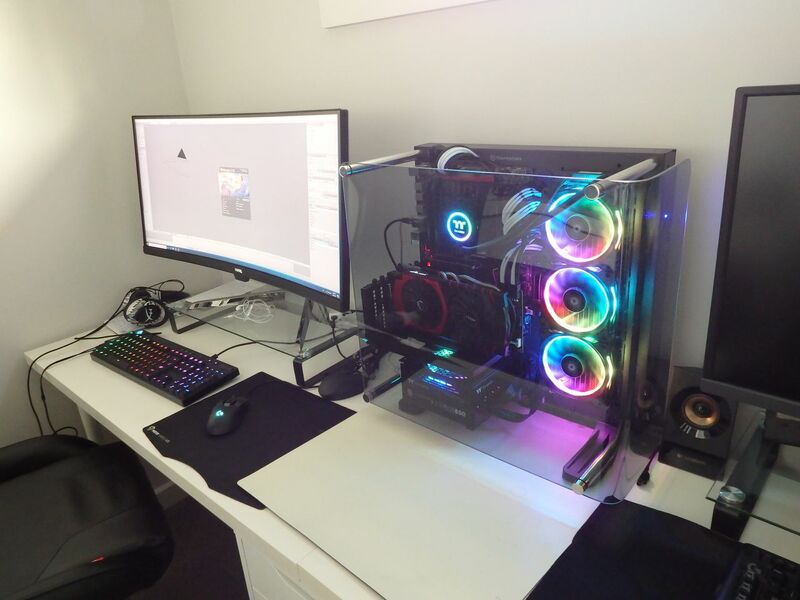 Thermaltake had one of the neatest open air cases in the original Core P3 and now it comes with a curved tempered glass side panel for an even better look. 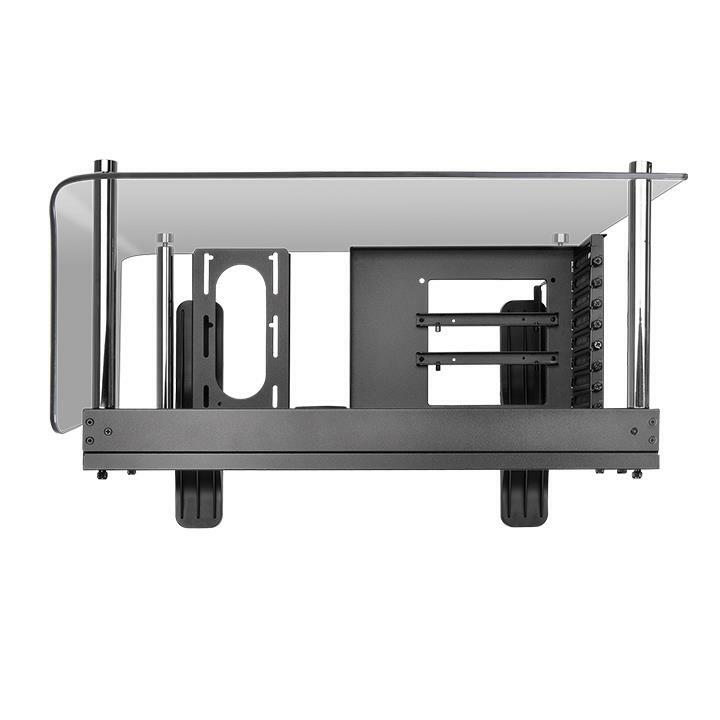 The case is flat, open, supports 2×3.5” and 3×2.5” drives and has front panel connections for USB 2, USB 3 and audio. The older Core P3 comes with a flat single glass side panel but the ‘Curved’ variant has an ‘L’ shaped panel with a 90-degree fold that provides either a front barrier or ‘roof’ to the chassis. 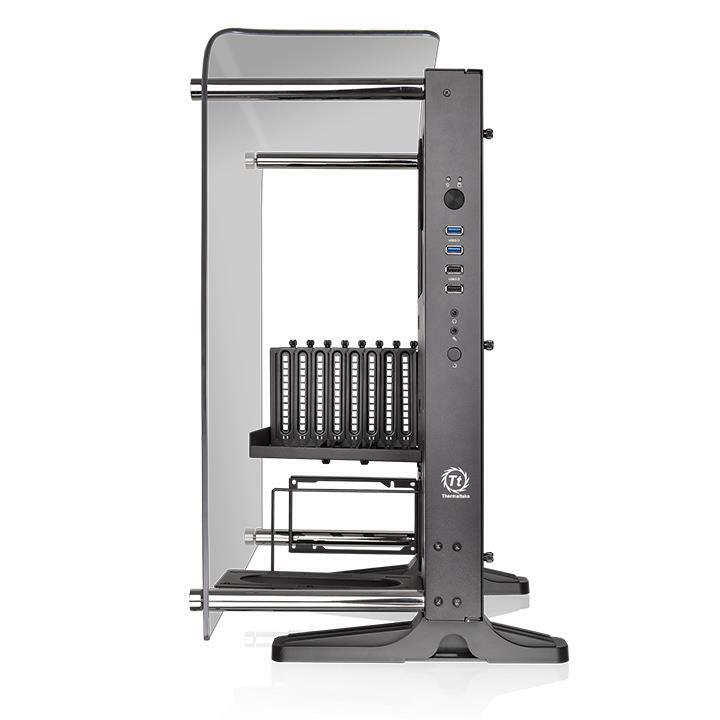 In addition to the essentials, the Thermaltake Core P3 Curved supports a 360mm radiator, custom reservoir, longer power supplies and allows the PCIe card to be oriented directly from the motherboard slots or be mounted at 90-degrees/parallel to the motherboard using a bracket and riser cable. 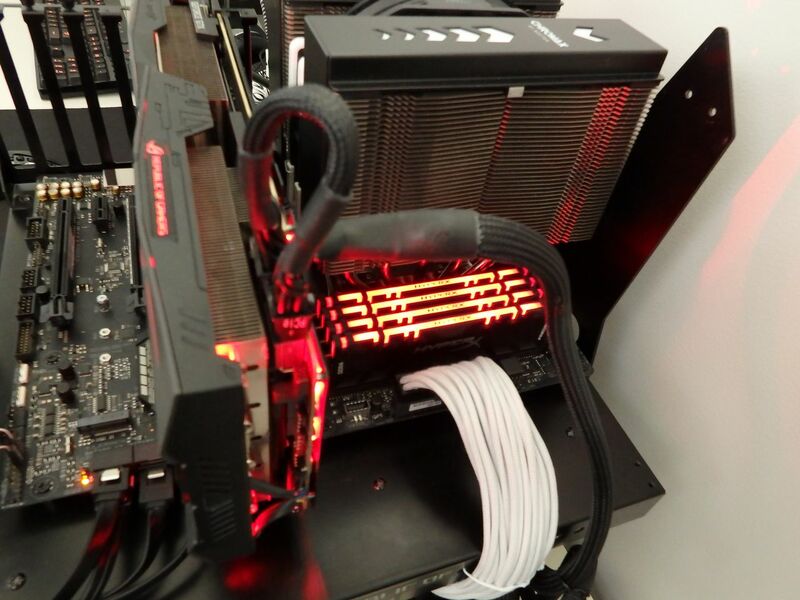 This alternate PCIE orientation is good for keeping warm/hot air away from the motherboard and any M.2 SSDs. 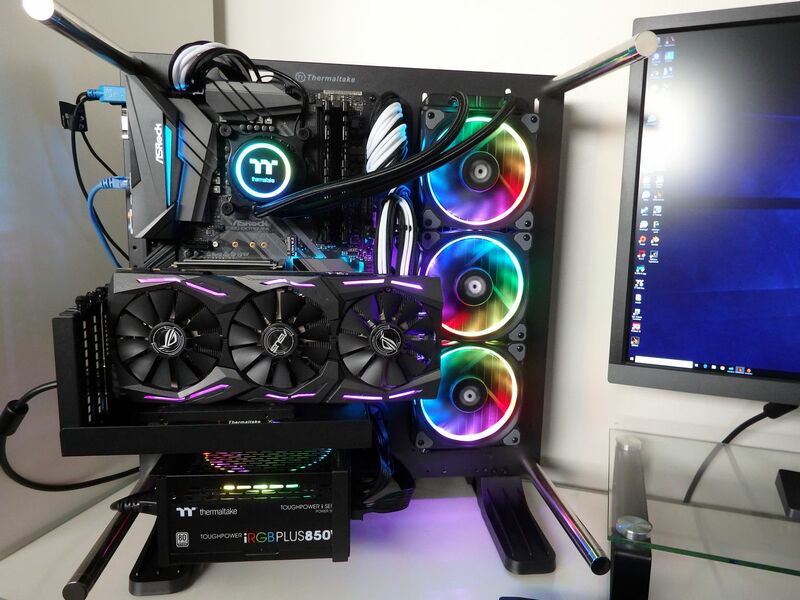 It also looks better but is essential if using the radiator-mount, as the placement of the radiator obstructs longer graphics cards plugged directly into the PCIE slots. The side panel is 5mm thick glass with a 90° curve to provide a physical barrier for the front or the top of the system depending on the orientation desired by the owner. 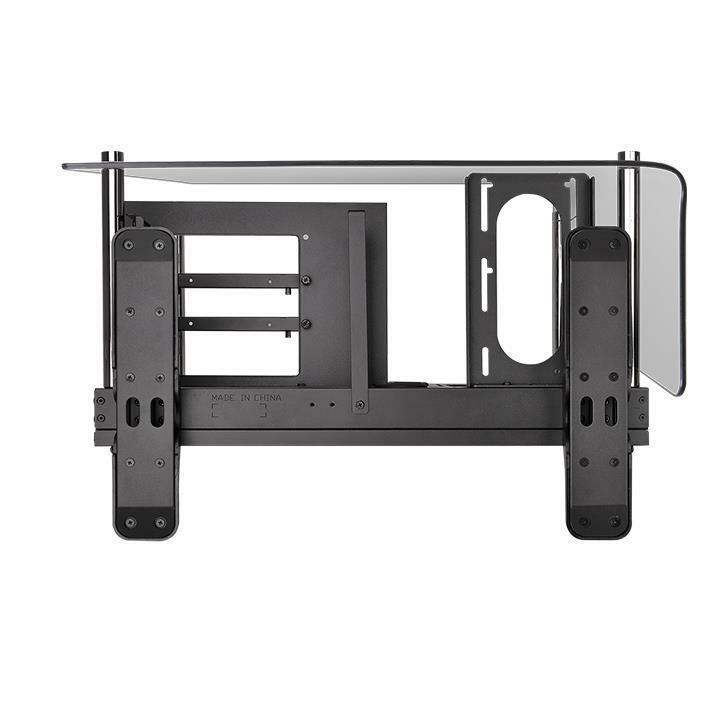 The Core P3 original and Curved has a stand for the default vertical configuration, four feet that can be fitted to the back panel for horizontal use and there is a VESA mounting system on the back of the case so it can be wall-mounted like a TV. 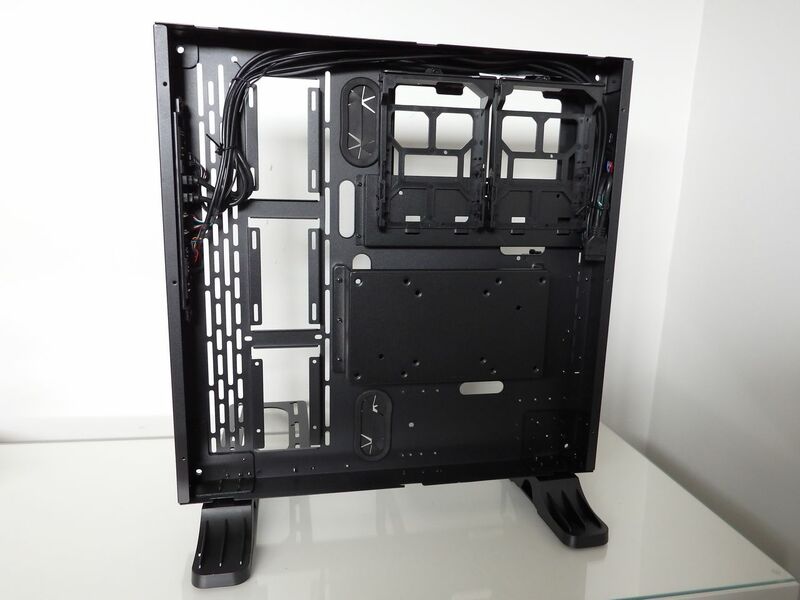 Despite the flat and compact profile of the slim case, there is more room than I had expected for managing cables – there is adequate space for a set of extensions in addition to the standard PSU power cables. 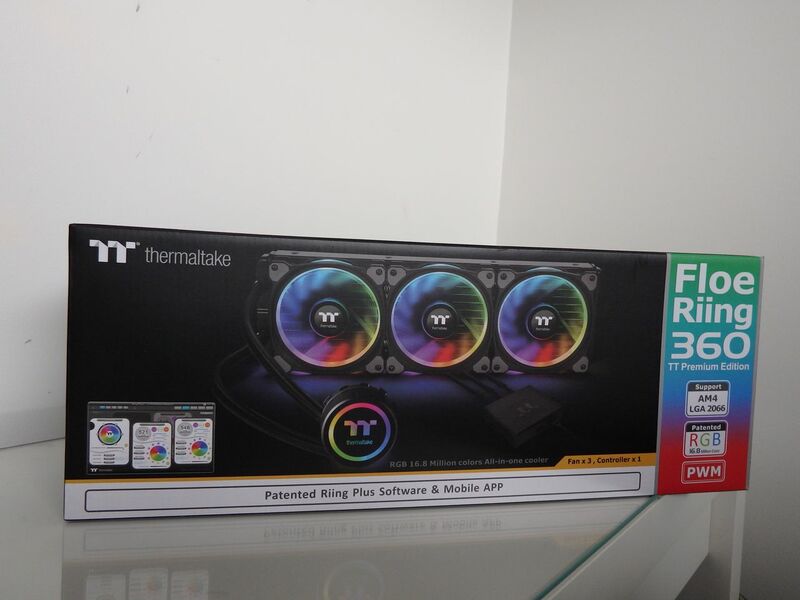 One thing to consider is that if you are using a 360mm radiator – as we did with the Thermaltake Floe Riing 360mm – you want to avoid having too many cables bunched up behind the radiator so as to avoid any unnecessary airflow obstructions. We didn’t have any issues keeping this area clear, despite using sleeved extension cables which meant there was extra to conceal. 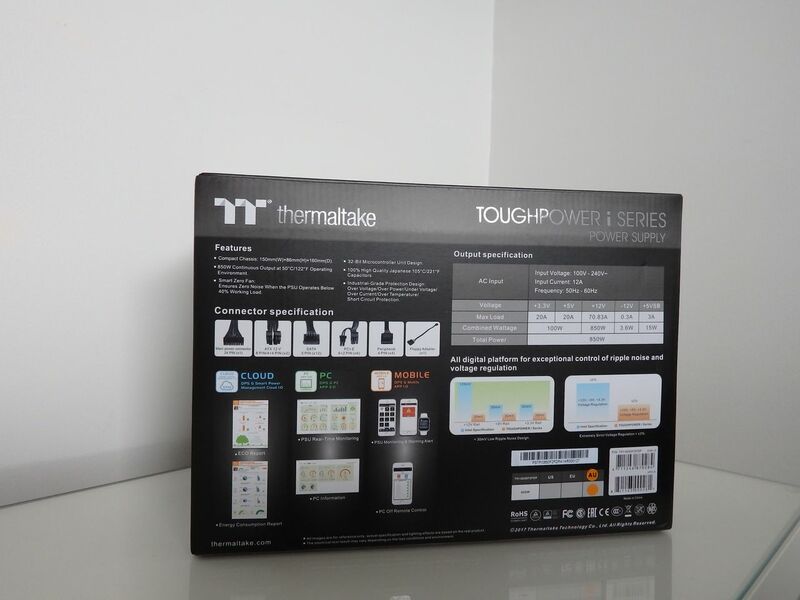 As usual, I’ll talk about the packaging – it’s important as the case has a curved 5mm thick glass panel that is both heavy and – despite being tempered glass – is still fragile when compared to steel. 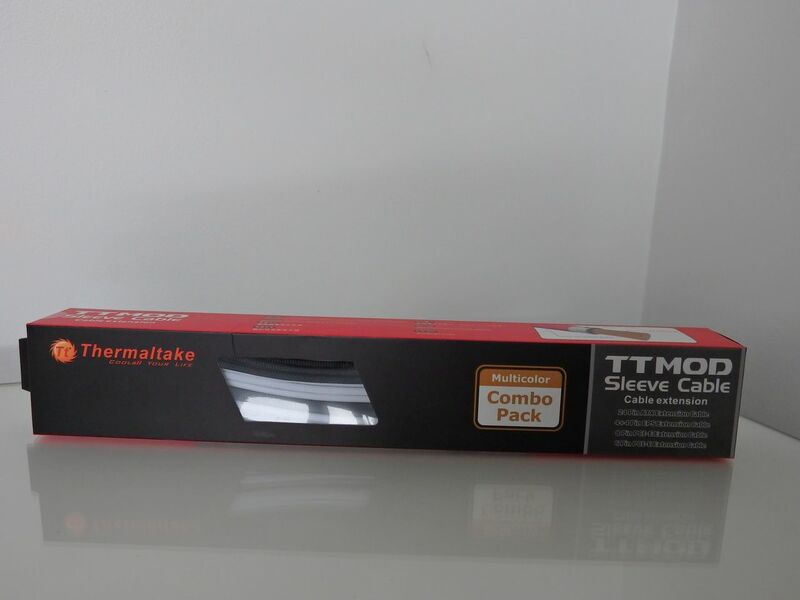 The packing ensures that the case arrives in good condition and there would need to be some serious mistreatment in transit to break the glass. The glass panel is covered with a plastic film and encased in both carboard and styrofoam. 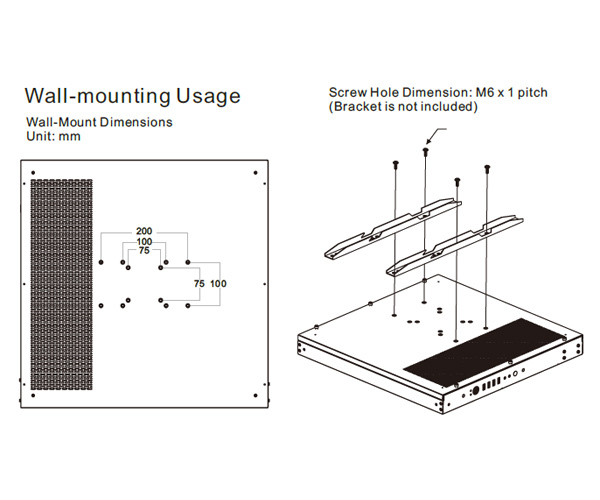 The case is initially configured in vertical orientation which works for us because that’s how we plan to use it. Having said that, I also installed the four rubber feet for horizontal orientation so that I can lay it flat to change components out. 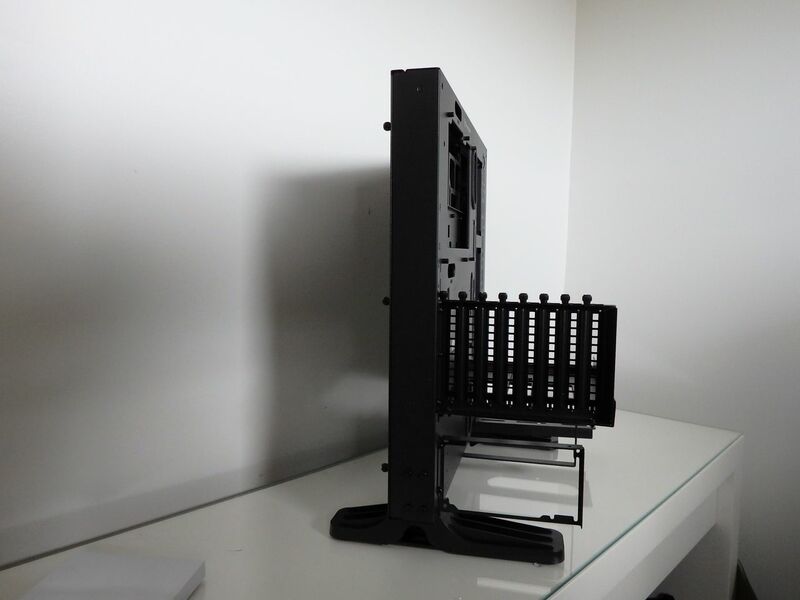 The powder coat of our unit was flawless and all mounting holes, drive holders and fan mounts perfectly aligned. The cables are all of adequate length too. 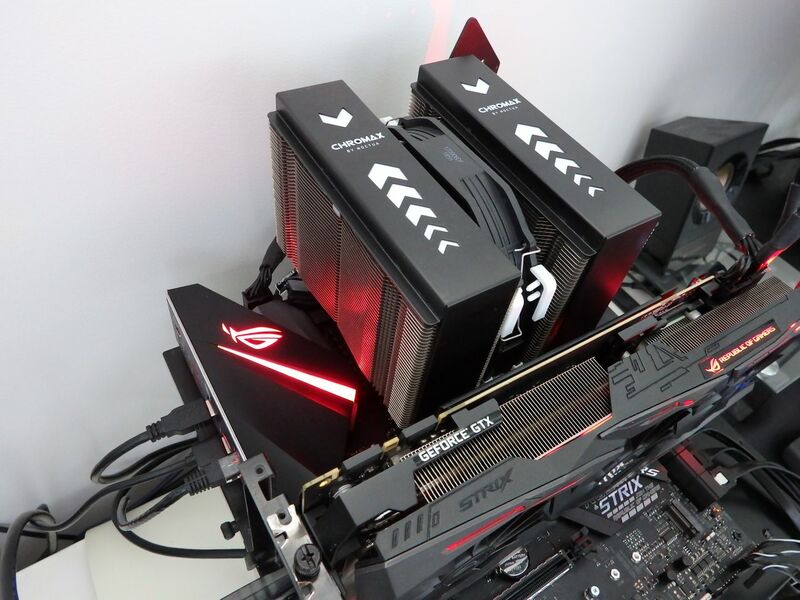 We didn’t waste any time getting to work and conducted all of our Intel i9-9900K testing with both the ASUS Maximus XI Gene and ASRock Z390 Extreme4 motherboards before moving on to our legacy test subject, the MSI X99S Gaming 7 with an i7-5930K. Swapping boards was too easy and there were no issues with mounting screws, CPU cut-out or motherboard header conflicts. 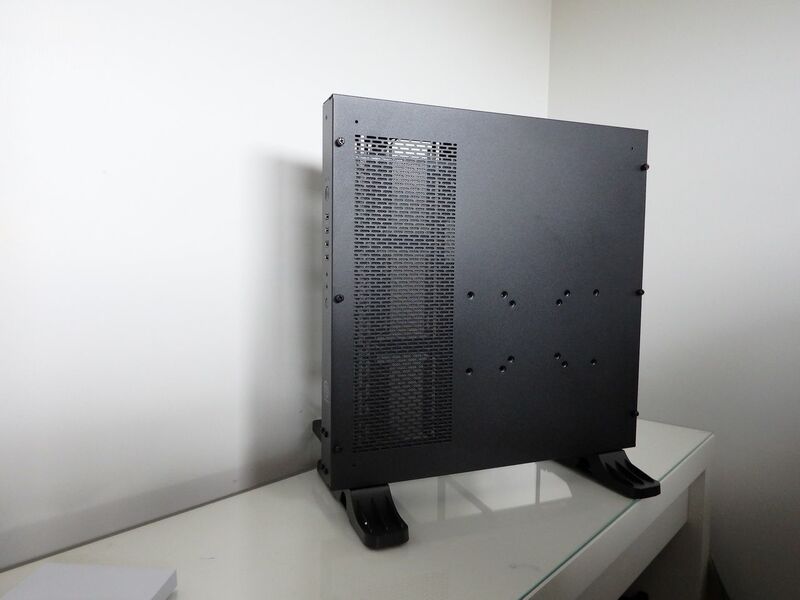 When it comes to a test chassis, ease of use is paramount. 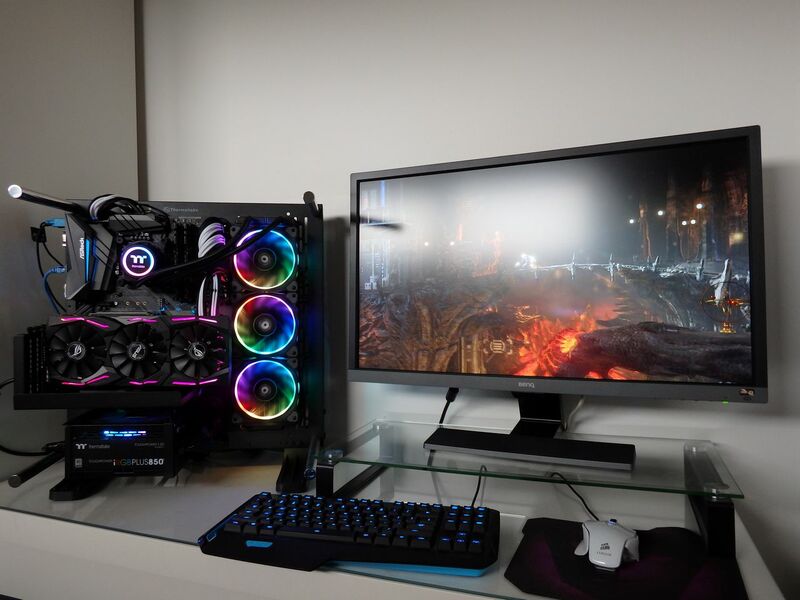 The Core P3 Curved shines in this regard and we found that we could swap out a motherboard in minutes. 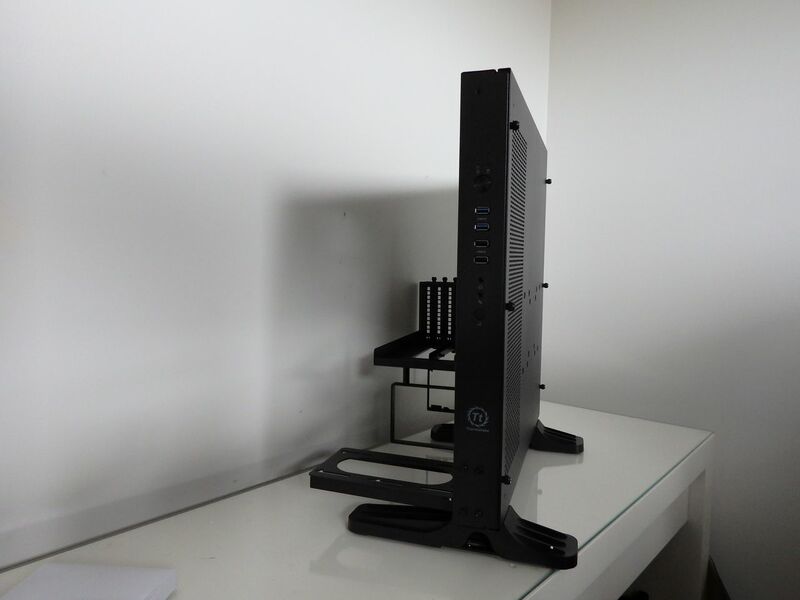 This is a niche case that looks good while maintaining the focus on the components of the system. 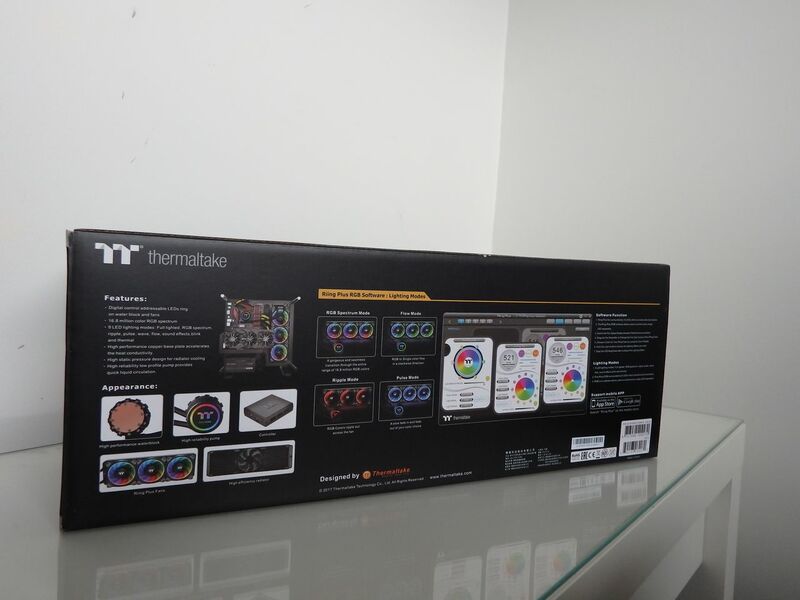 It’s a simple concept, well thought out by the Thermaltake design team and perfectly executed. 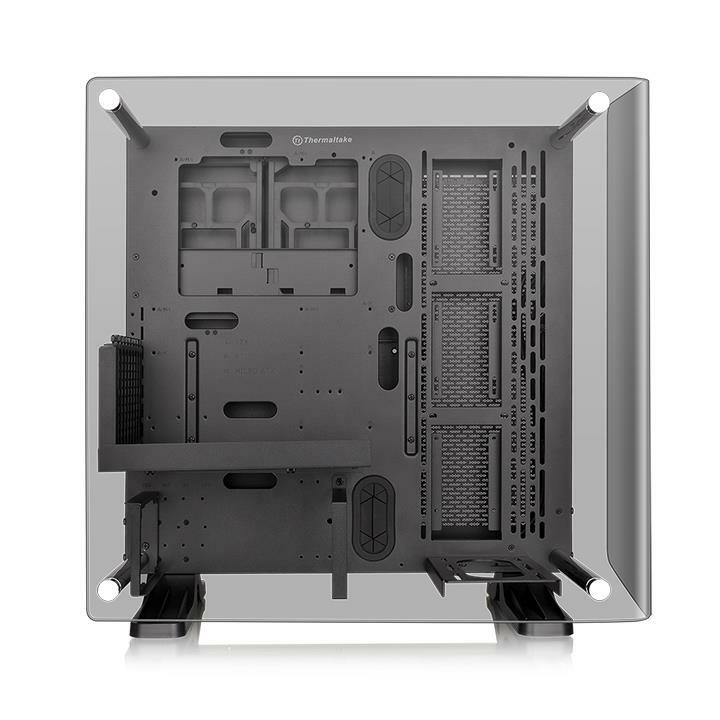 The glass panel can be oriented with the short edge at the front right edge near the front panel I/O ports, or along the top, providing some (minimal) protection from dust or objects dropping into the system. For the most part, we’ll probably have the panel off as it can make taking photos difficult with reflections. 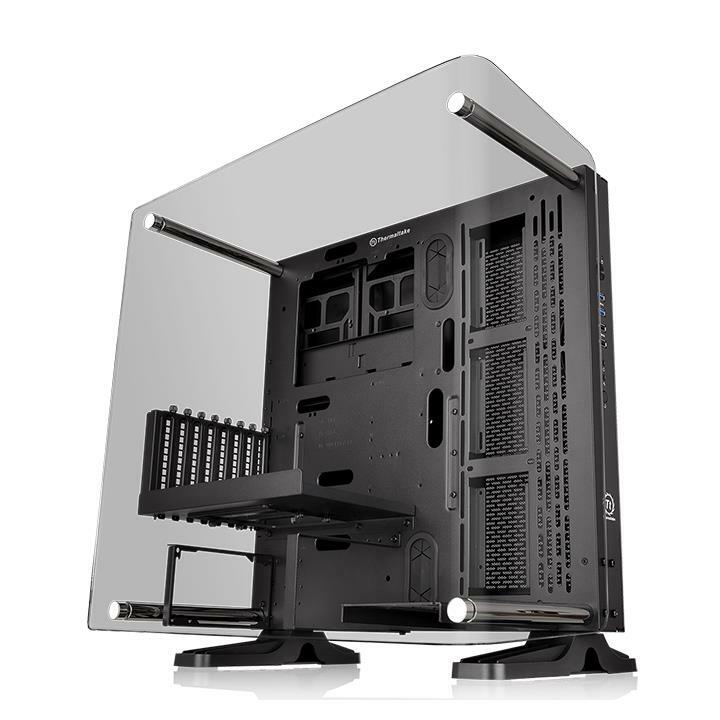 If I was using this case for a personal build, I’d probably have the panel installed with the curve at the front rather than the top. Whilst this won’t be everyone’s ideal case, it’s perfect for our needs and will be receiving a lot of attention as we go through our legacy platforms to validate the real world benefits of an upgrade. 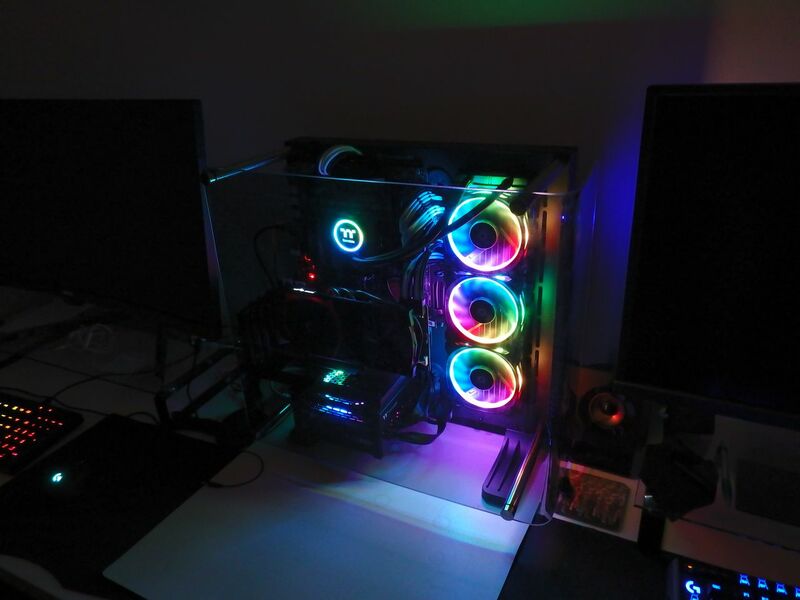 The list includes legacy systems featuring the iconic Intel i5-2500K, i7-3770K, AMD’s FX8350E, the i7-5930K and last but not least, an ‘ancient’ Intel Quad Core Q9550 LGA 775 CPU that uses DDR2! 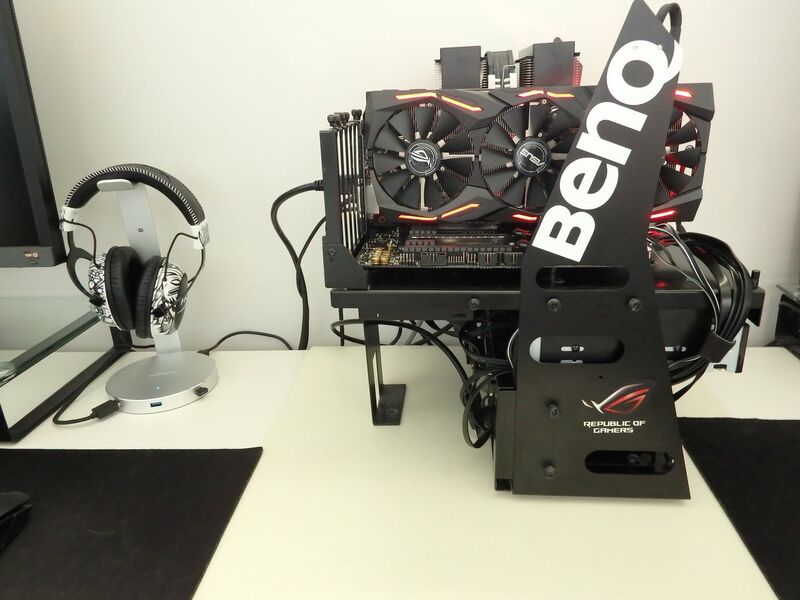 If you’re still rocking one of these platforms, stay tuned as we benchmark them with both a graphics card appropriate to the era and with the ASUS STRIX GTX 1080Ti OC. 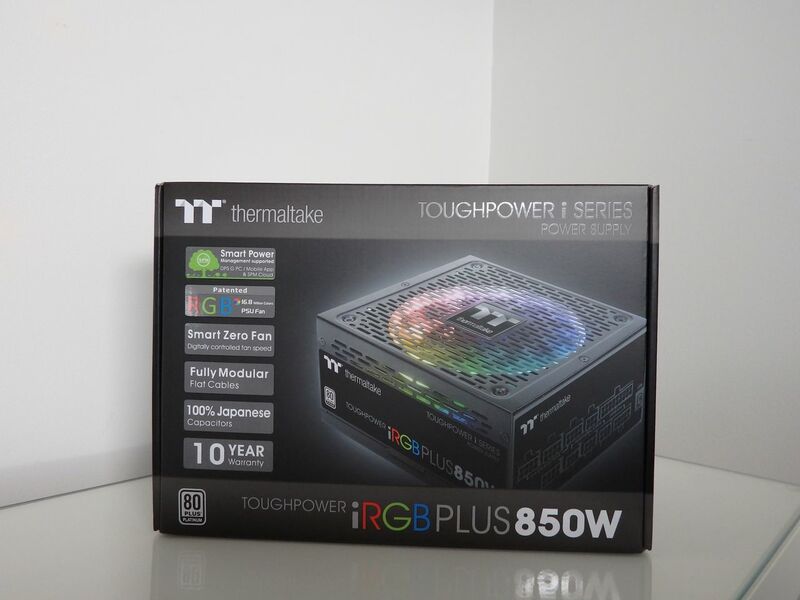 I’d like to thank Lihan and the team at Thermaltake for providing the Core P3, TOUGHPOWER I-series RGB 850W PSU and Floe Riing 360mm water cooler for our test platform, making it much easier to use. 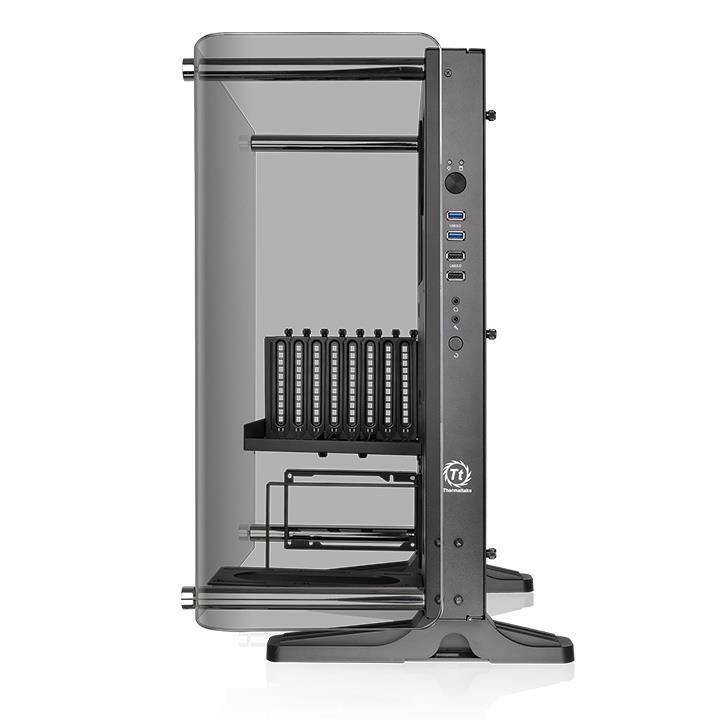 For people who change out components, test or repair PCs, the Core P3 is worth considering as a standard “tool of trade”. 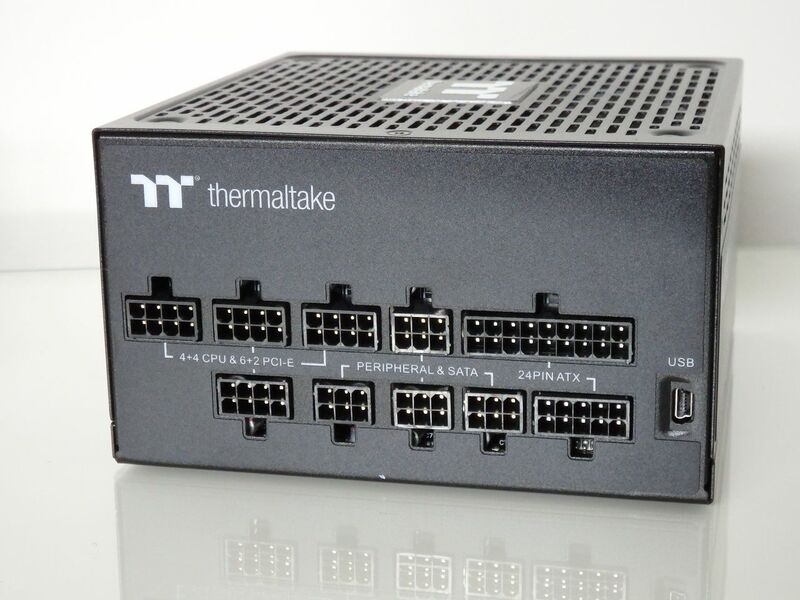 The Core P3 is a most welcome upgrade to our test bench platform – it’s been a dream to work with so far and I can’t praise it enough. 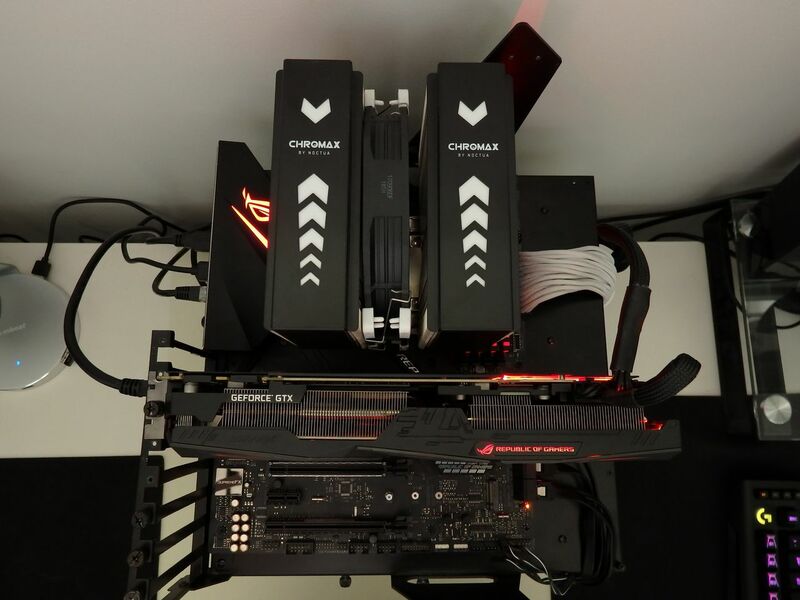 We also have a Thermaltake View 71 RGB Plus as covered in our PAX 2018 coverage – this has provided our AMD X470 STRIX test system with a new home. More on the View 71 shortly so keep an eye out or sign up for notifications if you’re interested in this one.